Medium sized, slightly built dabbling duck. Swims high on water with elevated rear end like Wigeon. Flies with rapid wing beats and has pointed wings like Wigeon. Males mainly dark grey with black around tail, In flight white speculum, bordered black in front, and white belly are visible. 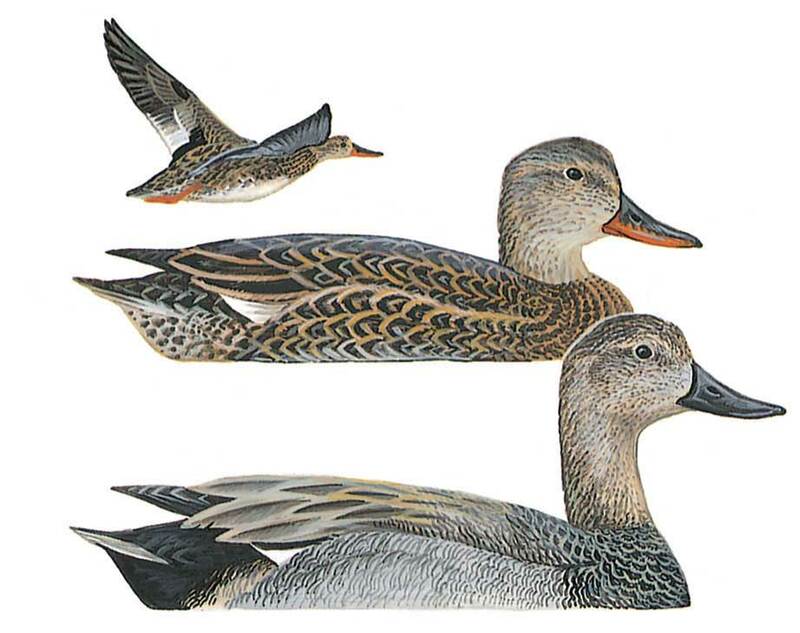 Female and juvenile resemble larger and heavier built female Mallard, but tail is grey-brown, and thin dark bill is orange along sides. In flight, shows white speculum patch close to body and white belly bordered by dark flanks.